During the course of the past 15 years ALLROUND has developed a very effective and innovative technology that is at the core of its products. a modular system that allows mobile operators to select the functionality they require. New modules can be seamlessly added as needed. 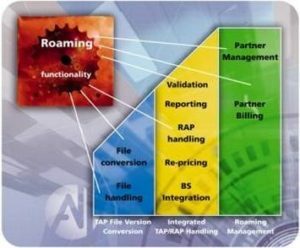 a turnkey system designed specifically for roaming that integrates to legacy billing and back office systems. available on Linux, Unix and Windows platforms. General flexibility due to the unique system architecture. Unmatched format flexibility due to data-driven approach. ALLROUND has extensive experience in format handling and conversion and supports more than 200 CDR formats. The uniqueness of this platform is its unparalleled CDR processing capability that enables ALLROUND to propose optional tools and services in addition to the basic features.